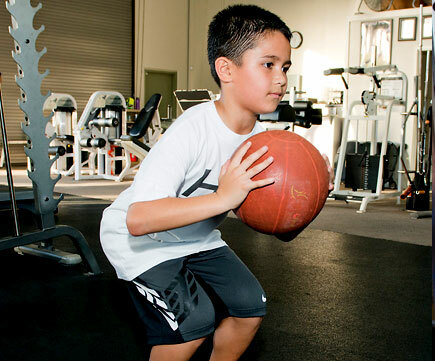 Hawaii Optimum Performance programs are developmental, instructional, progressive and specifically tailored to help you effectively reach your goals by unleashing your full athletic potential. 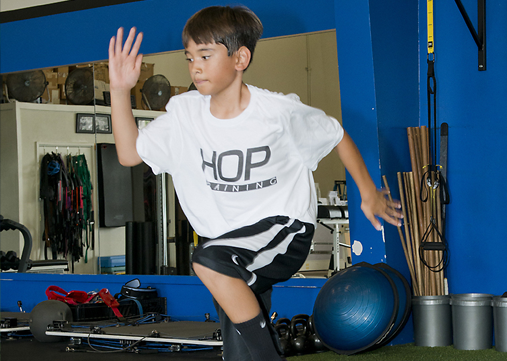 Utilizing scientifically researched training techniques, HOP incorporates a comprehensive integrated approach to training both the mind and body while focusing on the smallest details of physical movement and human performance. 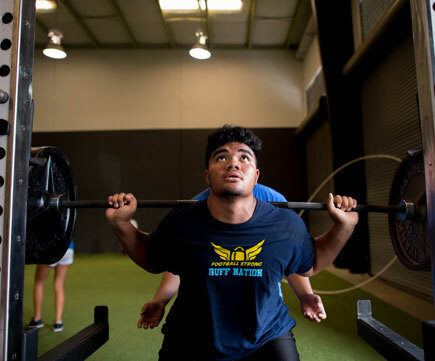 With an expert team of Certified Athletic Trainers, Strength and Conditioning Specialists and Sports Performance Coaches, Hawaii Optimum Performance is dedicated to providing individualized programs that emphasize education and progression to optimize physical development and athleticism. In other words, regardless of your current skill level, the goal is always the same: To Train Like A Pro. 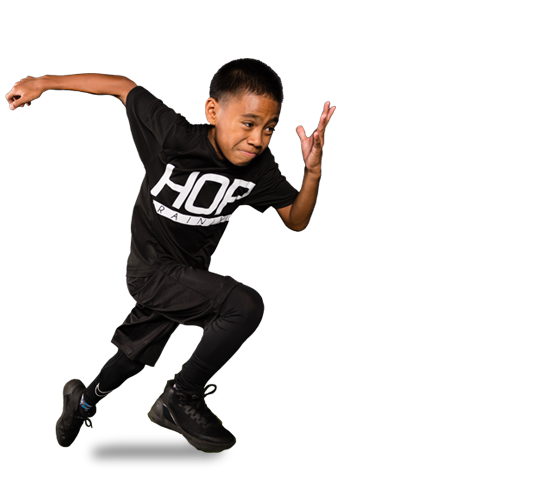 Our Youth level training program is designed for parents who are looking to hone and develop their child’s athletic ability. Instill the values of proper training and technique in a fun learning environment! Building upon the core fundamentals established during the Youth level, our High School training program is perfect for student athletes looking to get an edge on their competition. 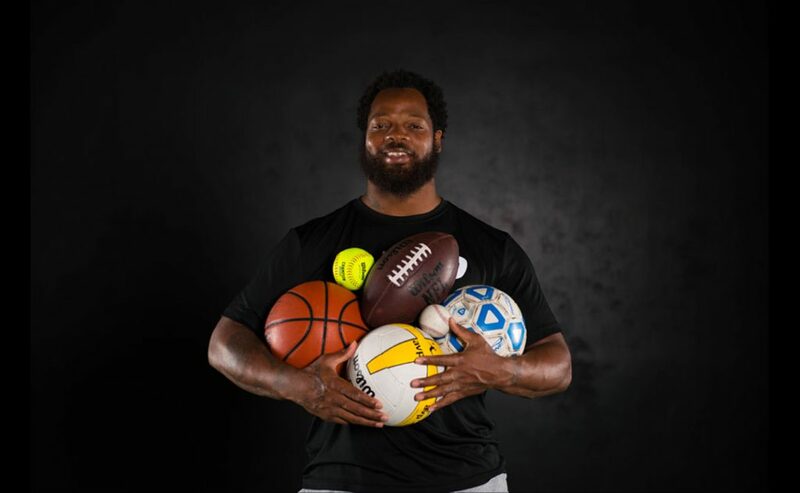 Specifically tailored for College and Pro level athletes, our top tier pro level training program has been used by top athletes such as Martellus Bennett, Cliff Avril, Chad Owens, Manti Teo, and Deforest Buckner. 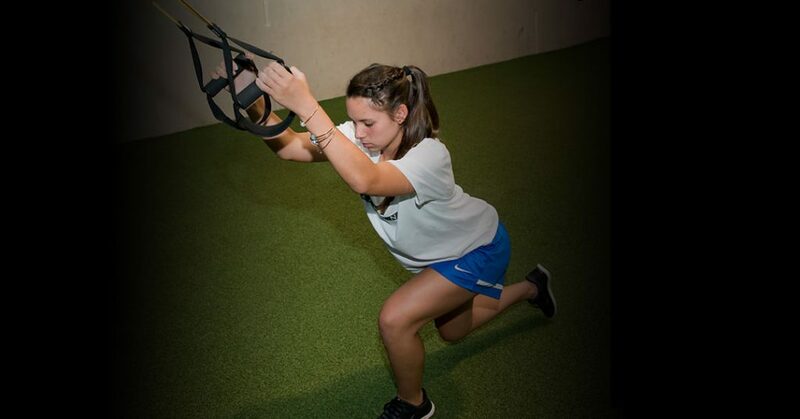 This eight-week knee injury prevention program is designed to develop proper bio-mechanical movements and neuromuscular control through a comprehensive strength, plyometric and speed training program. Sessions will include flexibility, balance, core strength, squat and jump technique, power, agility and deceleration training. Focusing on running mechanic and athletic movement, our Speed and Agility Clinics will increase linear speed, first step quickness and lateral reaction for any sport. Conducted on our indoor sports turf at our Waipio Training Center, the Clinic is open to both boys and girls, 7 years and older. 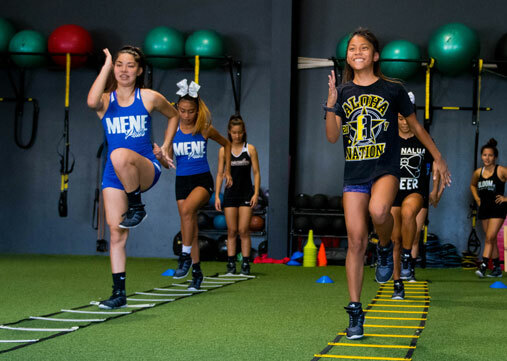 Developed for teen athletes (13-18 years of age), this one-hour training program focusses on multi-directional speed, explosive power and muscular endurance, preparing them for the rigors of competitive sports and the next level of performance training. Our drills are specifically designed to increase ball control and movement, focusing on soccer acceleration, deceleration and lateral movement, while at the same time teaching athletes how to harness and improve their mental stamina – developing confidence both on and off the field. 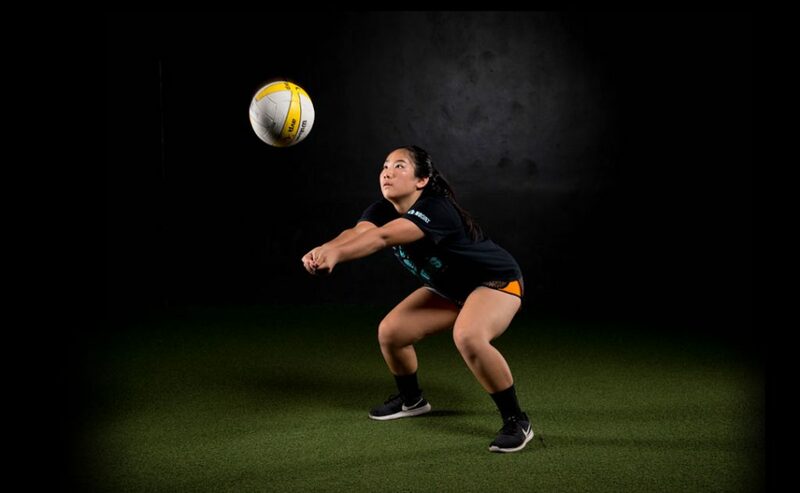 With drills focused on teaching proper jumping and running techniques, our athletes are given the knowledge and skills needed to develop the lateral speed and agility specific to volleyball competition. Perfect for any athlete who needs help preparing for standardized combine testing – regardless of sport or level. 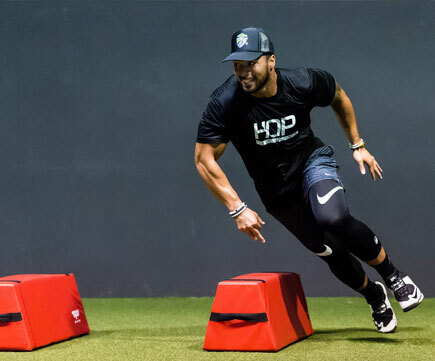 Program includes proper training and technique for the 40 and 60 yard dash, Vertical Jump, Broad Jump, Pro Shuttle, L-Drill. Our adult fitness training programs are specifically designed to help our adult clients increase flexibility and functional strength. Utilizing a Functional Integrated Training (FIT) approach, regardless of age, gender or current skill level, we will get you feeling younger, fitter and healthier. 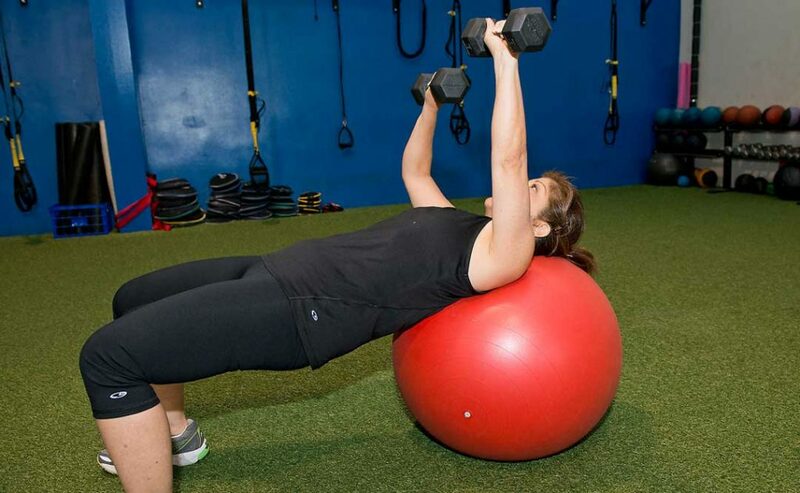 For the active or sedentary adult, this training program focuses on strength, balance and coordination to improve your endurance and functional movement. By evaluating and focusing on your specific needs, the goal is to improve mobility and decrease everyday aches and pains. Available in private one-on-one or small group training sessions. Our hour long Adult Core FIT Class will give you a full body, functional core workout, designed to burn calories and help relieve everyday stress. With an emphasis on strength and flexibility, we integrate various training disciplines to optimize core development and fitness; helping you achieve better balance, increased stability and movement efficiency in your everyday life. A full body high intensity interval cardio core training class for adults that combines functional strength and cardiovascular fitness to help clients increase muscle tone and lose body weight. This class is tailored to clients that are aspiring to lose fat, increase energy and live a healthier lifestyle. A flexibility training class for adults and athletes to improve mobility and functional movement. 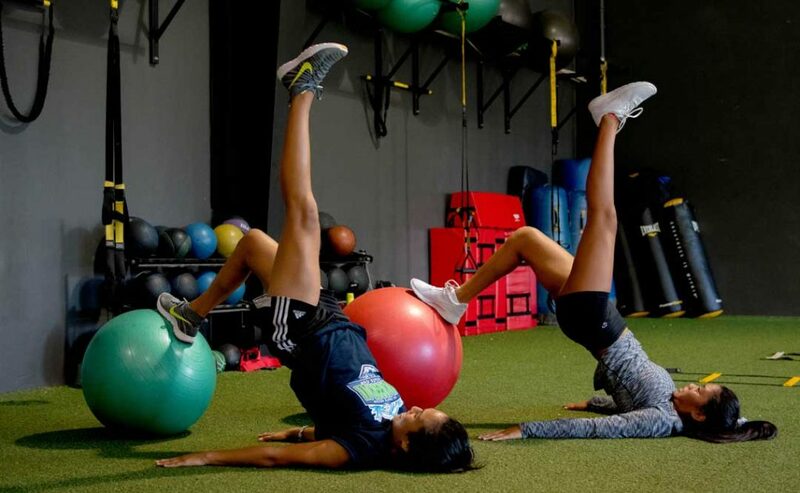 Each session consists of a full body stretching progression utilizing various training modalities to decrease muscle tightness from everyday work and to improve physical recovery after athletic activities. A comprehensive twelve week adult strength training program that teaches traditional and olympic weight lifting technique and functional training exercises to gain strength and improve fitness. The Japanese word “Kaizen” means to have the mindset of constant, continuous improvement. Whether you are looking to lose body weight, increase muscle mass or are frustrated with the lack of progress in the gym, this class is designed for you. Our Sports Medicine Program takes a comprehensive fitness approach, with an emphasis on education, prevention and rehabilitation. This rehabilitation program focuses on progressively restoring function to individuals who are recovering from an injury or surgery. Our Certified Athletic Trainers help bridge the gap between the completion of physical therapy and the return to full activity by improving strength, power and balance through medical based performance training. All clients are evaluated during an initial consultation prior to beginning this program. With lower leg injuries a Functional Movement Screening (FMS) and Y-Balance Test is given to determine functional restriction and weaknesses between involved and uninvolved extremities. The objective of the Medical Bridge Program is to maximize functional outcomes by returning our clients to their normal activities. Our Licensed Massage Therapists will evaluate and treat soft tissue injuries, joint restriction and motor dysfunction to relieve pain and muscle tightness. Utilizing myofascial release, trigger point and strain-counterstrain techniques, we will improve joint range of motion, increase circulation and reduce muscle spasm. Whether your injury is due to sports, recreational activities or work, our expert massage therapists will help you regain normal function and movement. We accept Workmen’s Compensation and No-Fault insurance as well as private payment. Facilitates the body’s natural healing process while providing support and stability to muscles and joints without restricting the body’s range of motion. 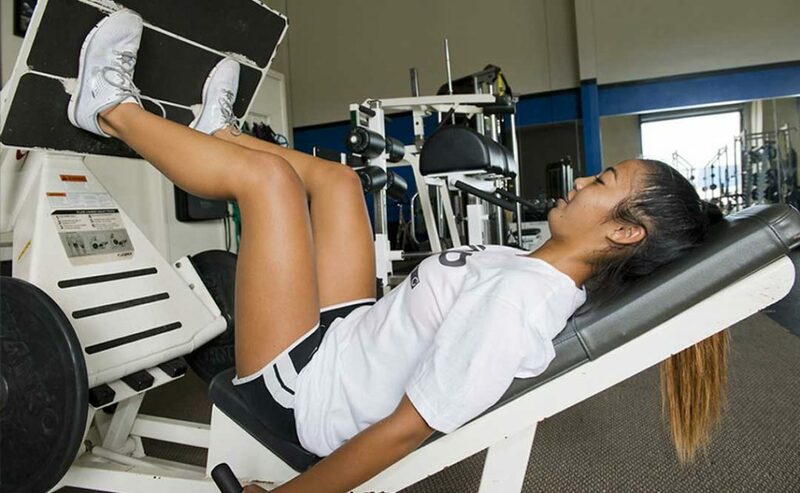 At Hawaii Optimum Performance, our goal is to increase your mobility and stability; allowing you to function more efficiency and enhance physical performance. Through our FMS and Y Balance Testing, we will Identify your strengths and weaknesses, and prescribe corrective exercises to improve you individual movement patterns. Utilizing the BodyMetrix BX 2000, we can provide a report of your Body Weight, Body Fat Percentage, Body Mass Index and Body Circumference Measurements. After reviewing the results, we can then recommend the best plan to achieve your optimum health and fitness goals.